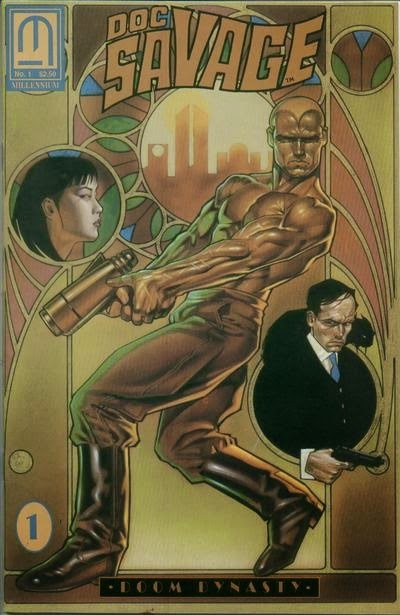 In this two-issue miniseries, Doc Savage battled Dr. Nikola, a villain created by Guy Boothby. There was also a reference to Johnny Littlejohn being at "that weird university in Massachusetts," a reference to Farmer's theory that Johnny taught at Miskatonic University, from H.P. Lovecraft's Cthulhu Mythos. 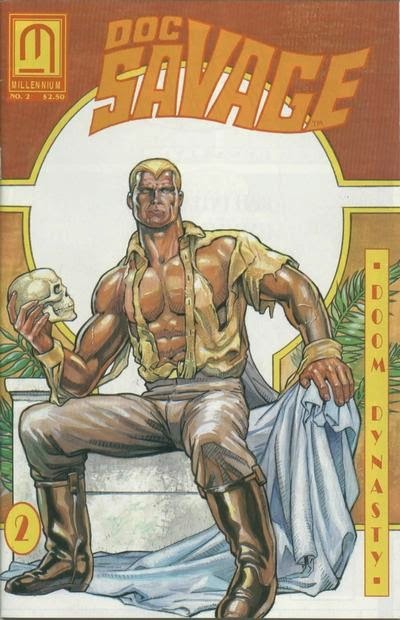 I have a fondness for the Dr. Nikola books- it's a pity that the character does not appear as much in the CU as his contemporaries, such as Moriarty or Fu Manchu.